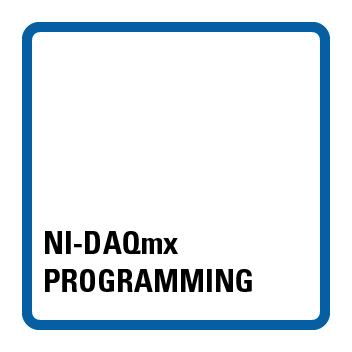 NI-DAQmx Programming badge holders understand the functions used to program data acquisition devices and the benefits of different options. This badge holder can use the NI-DAQmx driver to measure, generate, and synchronize data acquisition tasks. They can program finite or continuous acquisitions and implement best practices for hardware or software timing, triggering, and logging.